A delightful town on the banks of the beautiful Clarence River, Maclean celebrates its Scottish heritage with the Maclean Tartan Power Poles – more than 200 power poles painted in family tartans - and the Highland Gathering, a festival held every Easter for more than 110 years. The charming town centre has lovely boutiques and cafes and restaurants serving fresh local produce. Amble along the streets and you’ll see the colourful tartan poles. 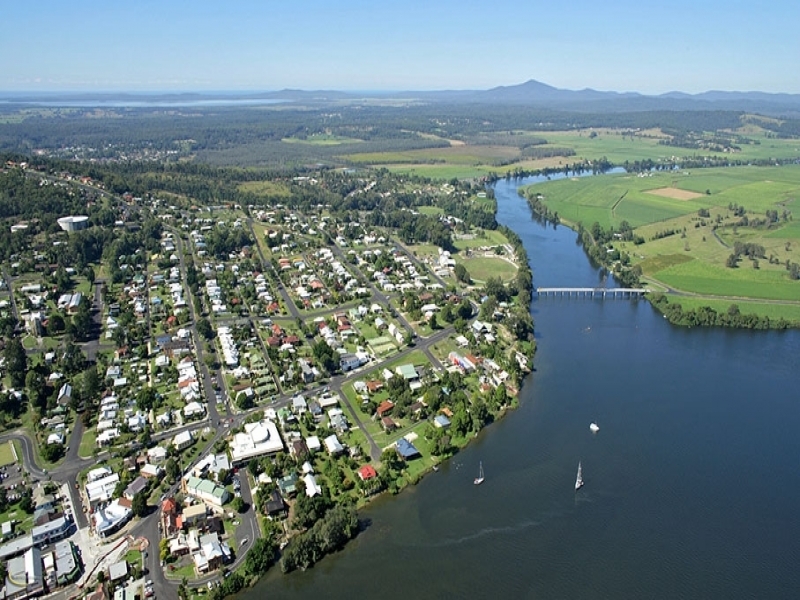 Centrally located in the Clarence Valley, Maclean is a great base for visiting Grafton, Yamba and Iluka and national parks. For spectacular views of the Clarence Valley, the Maclean Lookout is two kilometres from the town centre. Stroll from the lookout to the Pinnacle, a fascinating balancing rock formation surrounded by an area of subtropical rainforest and an important Aboriginal cultural heritage site. Relax with a fishing rod at many superb fishing spots along the river near Maclean. And you can buy freshly caught seafood including local prawns from various locations in the town. Accommodation options range from motels and self-contained apartments to bed and breakfasts, caravan parks and pubs.